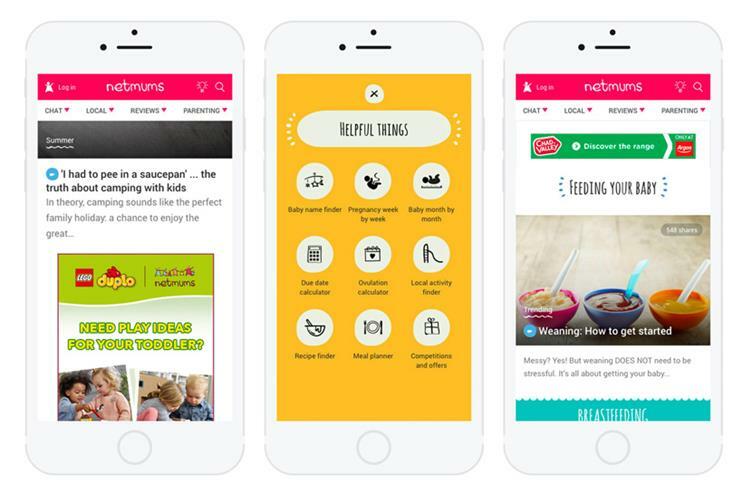 Netmums has launched new formats for advertisers and an overhaul of its website after a surge in mobile traffic over the last two years. Managing director Rimi Atwal said the proportion of visits coming from smartphones had risen from 53% to 78% in two years, with two-thirds of this coming on iPhones. The site has introduced a mobile-first interface featuring a new scrolling feed, refreshed design and a site navigation built around four content areas: chat, local, reviews and parenting. Alongside this, the new site will offer advertisers a range of new ad formats that Atwal said would look better and provide improved levels of engagement. It will also introduce a new content management system, enabling it to be more flexible, using platforms like Facebook instant articles with greater ease. The relaunch comes after a major piece of research by Netmums, which surveyed 5,000 mums to build a picture of their attitudes to parenthood and digital media use and led to the concept of the Netmums ecosystem as a "digital village". It found that the proliferation of social media has had an overwhelmingly positive impact on the experience of mothers. The site previously carried out a major survey in 2006, when Facebook was new to the UK, while Twitter and Instagram did not yet exist. At the time, it found that 60% of mums "felt lonely and isolated"; that figure has now fallen to 27%. In the new survey, 85% of mothers said that 24/7 connectivity had made them feel happier, more fulfilled and better supported. The new research also segments the site’s users into four groups, based on the way they use digital and social media. "Digital villagers" are the most actively engaged in the online community, especially through Facebook, and are highly likely to engage in forums and read or write reviews. "Visual curators", who tend to be younger, skew their usage towards Instagram, Snapchat and Pinterest. "Life hack mums" are most likely to use platforms for practical advice and lifestyle efficiencies. And the "Always-on mum" is described as a "busy multi-tasker using her smartphone as an enabler to juggle between work and family." Atwal said that identifying these groups would allow advertisers to more accurately target the consumers they wanted to reach by focusing on particular platforms or types of content. "The proverb ‘It takes a village to raise a child’ could not be more relevant today," Atwal said. "Mums can now create their own ‘digital village’ to access the support network and resources they need and as a result are happier than ever before. "At Netmums, our content creation, user experience and back-end infrastructure is now fully attuned to mums’ mobile lives. This ‘digital village’ research now gives us unprecedented depth of insight into user behaviour, enabling us to offer brand partners customised solutions to better engage with mums."